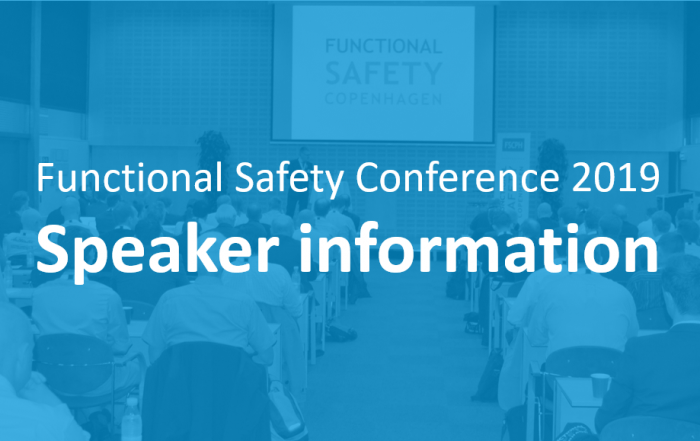 Do you want the latest updates from experts and leading companies regarding Functional Safety? Once again we have focus of the insufficiencies, challenges, requirements, solutions and development within Functional Safety. Do you need to be in the loop? – Make sure to get your ticket today and gain valuable knowledge. FSCPH’19 will give the participants 2 days filled with inspiration, information, networking opportunities and tools to be conveyed at their company! 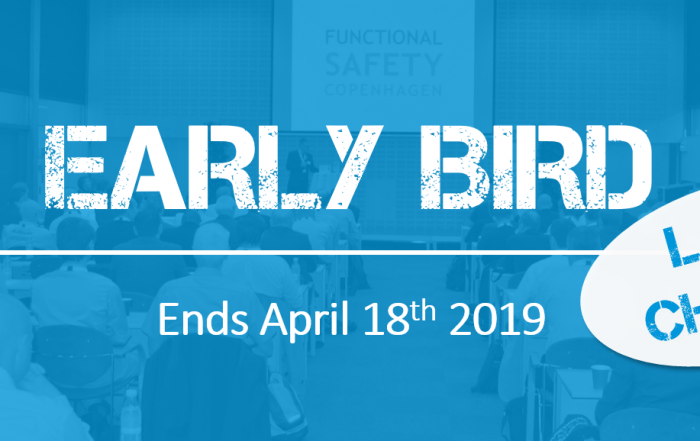 The objective and main topic of FSCPH’19 is Functional Safety. Several European companies with expertise in functional safety are joined together with the simple aim of having process and machinery safety in focus. There will be presentations of common topics as well as topics specifically targeting the machinery and process safety. The sessions are held as presentations and workshops, with both Danish and English speaks. This will give the participants the possibility to choose which sections that are most relevant. All presentations are none-sale. An exhibition and networking area next to the conference room will provide a good opportunity for networking. In this area, the exhibiting companies will have the possibility to promote their products and services and to network with potential and existing clients. On the first evening, there will be a conference Evening Event Dinner also providing a unique possibility for networking. JOIN THE CONFERENCE AS EXHIBITOR? Find more information on our exhibitor page or use the contact form below for registration. At present, the following exhibitors will be attending the Functional Safety Conference 2019. Check out the exhibitor list below, please note there is more to come. For general inquiries, please use our contact form below. We respond to all inquiries as soon as possible. It is important that you have the best possible experience when using our website, and that is why we save your preferences. By measuring traffic on our website, we get to know how many visitors we have. That is important, because we need to make sure that our servers can handle the traffic, and at the same time we can document this to possible advertisers. Read more about FSCPH Cookies Policy.